Thanks for bringing up this issue. As you and some of the other devotees have this question, I would guess that it is also something that other devotees feel. Let me say a little about my understanding of Bhagavan Adi Da’s Instruction on this. 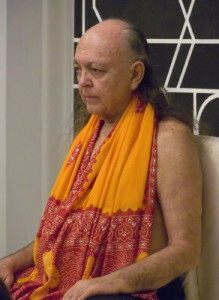 Bhagavan Adi Da continued to write and modify and reword His Written Teaching until the very end of His Life. He rather famously changed the subtitle of The Aletheon on His last day of His Life. His Teaching was in some real sense already fully formed and complete from the very beginning, as it is based on His Divine Self-Realization. And that never changed. The essentials of the Way are already all there in the Knee of Listening, the very first book. And if we commented to Adi Da that He had “changed” His Teaching, He would always correct us and tell us that this is not the case. The whole Teaching can be summarized as the Open Hand vs. the Closed First. (Sometimes when I get asked on an airplane or in the public to summarize Adi Da’s Teaching, I just show those two hand gestures.) Narcissus, the self-contraction, the relationship to the Guru, the transcendence of the ego, Amrita Nadi—all of that is there from the beginning. Yet Adi Da was always working with the language of Adidam to make it more precise, more descriptive and to eliminate any areas in which there might be misunderstanding. He developed the practice itself in relationship to the devotees who came to Him. In that process, He found that some things were useful and effective and other things were not. So the recommended practice changed over the years. 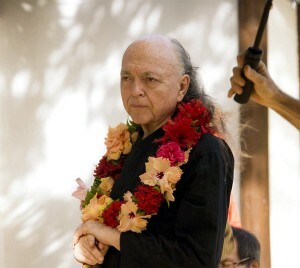 Also Adi Da’s own relationship to devotees and the world also changed over the years as He went through the dramatic changes in His Life, such as coming to know Himself as “Da” in 1979, the Divine Avataric Self-Emergence in 1986, the Santosha event of 1994, and the Ruchira Dham event of 2000. So when He would sit down and write after these events the Teaching would be expressed differently, based on the transformation that Had occurred in His Own Person. 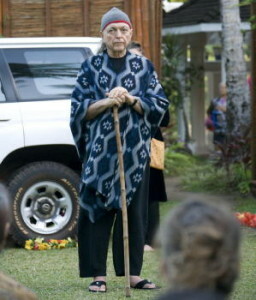 Also there were some things that Adi Da told us later that He had not revealed or communicated earlier because He felt that we were not yet prepared to receive or understand them. Three come to mind—1) His communication only in 1993 that He was the only seventh stage Realizer or the completer of the Great Tradition, 2) the inevitability of celibacy in the Perfect Practice, not as a strategic matter, but because the function simply falls away, and 3) His deeper personality connection to Vivekananda-Ramakrishna. Relative to the fact of His being the only seventh stage Realizer, earlier books, and specifically The Enlightenment of the Whole Body and Nirvanasara speak of other individuals as seventh stage Realizers. Whereas later these individuals were at best people who enjoyed or exhibited a “premonitory” intuition of the Seventh stage of life, but were actually sixth stage individuals. 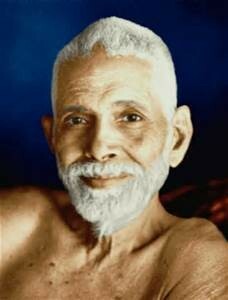 Ramana Maharshi was in my own experience the most interesting and dramatic of these, because for years Adi Da had spoken of Him as a seventh stage Realizer. 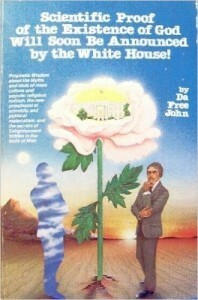 But this changed with the Revelations of 1993. So while I would never say that you should “throw away” the old books, when you read them, it is important to be aware that certain things may have been modified. Now what are people getting at when they say you should “throw them” away. This is a wonderful and extraordinary statement, and these were the five books that Bhagavan Adi Da Worked on very intensively in His Final period of writing. He obviously wanted us to be aware of the specialness of these final five Works which He labored on sitting in His Office at Indigo Swan, particularly in 2006-2008. So we can speak of the last five books, and then The Dawn Horse Testament and all of the other “Source-Texts”. In fact, Jonathan Condit and the editorial staff are preparing a final edition of The Dawn Horse Testament that will be much expanded. 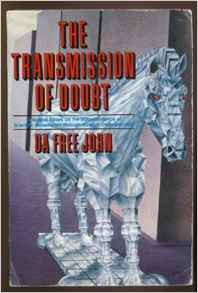 Some of the new material that will appear there has appeared in recent shorter publications from The Dawn Horse Press, such as Recognition of Me is Liberation. There are final clarifications that Bhagavan Adi Da made in the last years of His Life which were extremely important to Him. For example, the growth in practice in Adidam is no longer associated directly with the stages of life in any way. So the language of the new edition of The Dawn Horse Testament will exhibit this change in perspective and understanding. “In some sense, I—As I Am—First Appeared here in the year 2000. In some sense, I—As I Am—Was only “on the way” to here before the Ruchira Dham Event. My Divine Avataric Self-Revelation-Word Became a completely different kind of Utterance. Most essentially, My Divine Avataric Self-Revelation-Word has Become The Aletheon. My Divine Avataric Teaching-Revelation Is now simply Made Directly Plain—by Me. My Divine Avataric Reality-Teaching Is now Straightforward. So all of this is making it plain that His Final Revelation is His Gift to all, and is primary. So everything that we might read of the earlier talks and essays of Bhagavan Adi Da should be seen in the context of His Final Instruction in The Aletheon and other final texts. The Way itself has become the simplicity of whole-bodily-devotional-recognition-response to Him. But this does not mean that the earlier Teaching essays and talks should be “thrown away” or not studied and referred to. So clearly Adi Da was not asking us to “throw away” these old books. Instead He was asking for them to be read, as all of His books, with real discrimination. And as I mentioned, the new editions of them will be brought up to date. 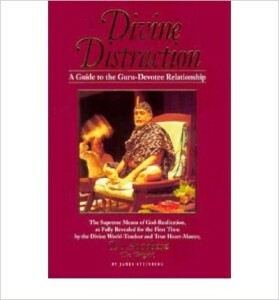 It is a useful exercise to actually see what Adi Da has done to some early essays as He has revised them. 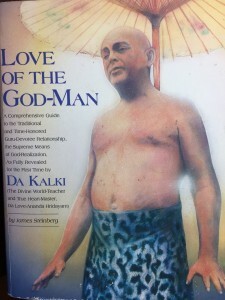 For example the essay much beloved by devotees, “What Will You Do If You Love Me?” which originally appeared in The Enlightenment of the Whole Body is now in The Aletheon, entitled, “What is a Greater Message Than This?” Some of us who have read the earlier essays for years, do not like it much when Bhagavan Adi Da changes the language of His Own Essays (as in this one). Often, it has seemed that what were archetypal and poetic sentences, are now perhaps more cumbersome. And so a full inspection of the old essay and then the new version is a useful exercise. Look at every change, one by one, by comparing the old and new version. 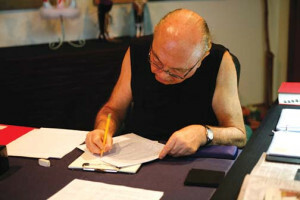 What you will find is that in the newer version, Adi Da is making it more precise and less open to misinterpretation. He is putting the essays in forms that will be able to last into the future without confusion. It is fine to read the earlier versions sometimes for their poetic quality or as a way of studying Adi Da’s historical consideration. There is no taboo on this. And if all we had were the earlier versions, they would have been enough and wonderful and ecstatic Gifts. But as Bhagavan Adi Da has gone to the trouble to redo materials, based on His later technical elaborations of His Teaching-Word, if you can access the newer versions, that is most highly recommended. You will also find in The Aletheon parts of essays and talks from the past that have been incorporated into the book. Adi Da at times would ask what essays or talks devotees found most useful from the older books or magazines, and would find a way to make them more current in the essays in The Aletheon. 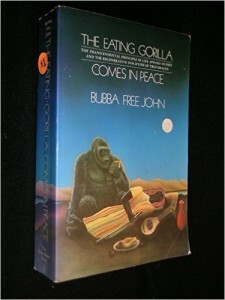 However, many of the earlier books contain considerations and essays that are simply not in the later books. You found this with the elaborations that are contained in “The Seven Gifts of Sri Da Avabhasa’s Grace” education course. 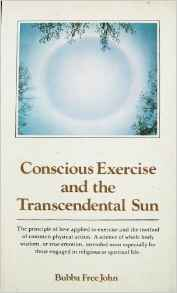 The title used for Adi Da of “Avabhasa” dates the course to 1991 or so. And I am not currently up to date on what is specifically in that course book. But yes, it is true that most devotees would not know what the Seven Gifts even are. Most devotees probably could not tell you all seven from memory. Refreshing our knowledge and understanding of these gifts is a good idea. Recently someone sent me a text asking where they could even find them listed (look at the Epilogue to The Dawn Horse Testament). I would think that in that course book there would be material that is likely not in print anywhere else that might be useful and relevant to your practice. But there would also likely be usages of words and even some practices that are no longer current. 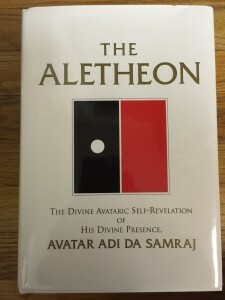 If you are completely familiar with the details of the practice are currently, and the ways that Bhagavan uses language, then taking a tour into these past books will not be confusing. Instead it would be an interesting look at things that have changed, as well as wonderful ways that Bhagavan Adi Da might have expressed things in the past. And also even topics and discussions that are useful, that do not appear elsewhere. Simply be wary of old practices that are no longer used. 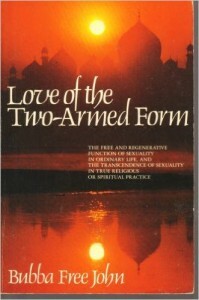 In the course of Adidam there were many such practices. For years I practiced “self-enquiry” using the phrase “avoiding relationship”. For a time I meditated using the word “God” as my “mantra” under Adi Da’s Instructions. (When Adi Da found out I was still doing this some months later, He commented that I was in the “dark ages” of Adidam practice). So as I say, you must be aware of what the current and final Instructions for practice from Adi Da are, otherwise there might be some confusion in encountering the old practices. All of which is to say that I still often recommend The Knee of Listening as the first book for people interested in Adi Da and practice, and sometimes My “Bright” Word. (I find that it is a individual matter and that it is good to pick a recommended first book for the person in front of you, rather than choosing one by rote.) And some of the earlier books are often “easier” to read, with a language style that is very user-friendly. But if one is to practice the Way, you must always also be informed by The Aletheon and Bhagavan’s Final Word of Instruction and the practice of whole bodily recognition-response. But as this is really just turning, then if you were doing Ruchira-Avatara Bhakti Yoga, or really any of the earlier practice, you would likely be doing the same thing!